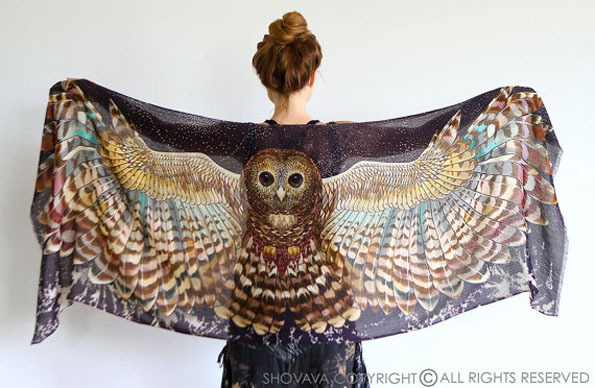 I love these Scarves That Look Like Bird Wings. Lovely! 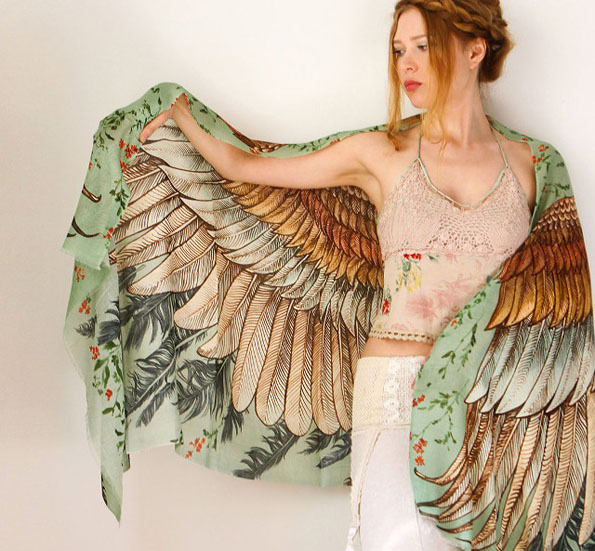 They are hand-painted and digitally printed on cotton or silk. $56-$160. The Etsy shop repeatedly says that the wait to get the scarf is long, which can be a bit of a red flag. But the scarves look like they might be worth it.